HKS Super Hybrid Filters TOYOTA - Dezod Motorsports Inc - Home of the automotive performance enthusiast since 2002. Drop in replacements for the most popular Japanese AND Euro applications. 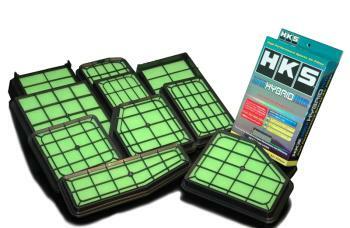 HKS uses a triple layer filters to give the best airflow while protecting your engine from unwanted dirt and debris. Easy to install and undeniably useful.